Chanda is a small farmer in rural Telangana. 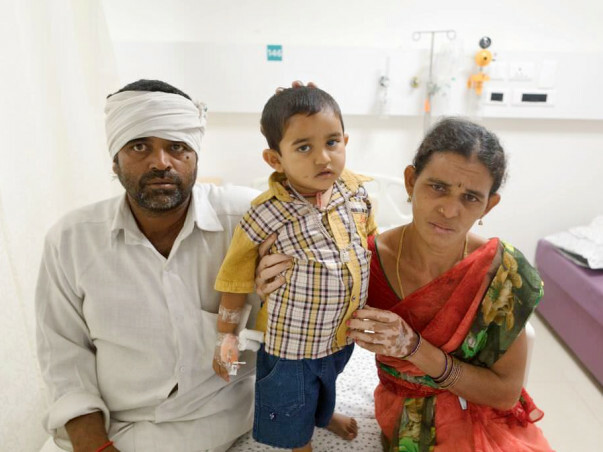 He and his wife Sujji have already lost one child in an accident. 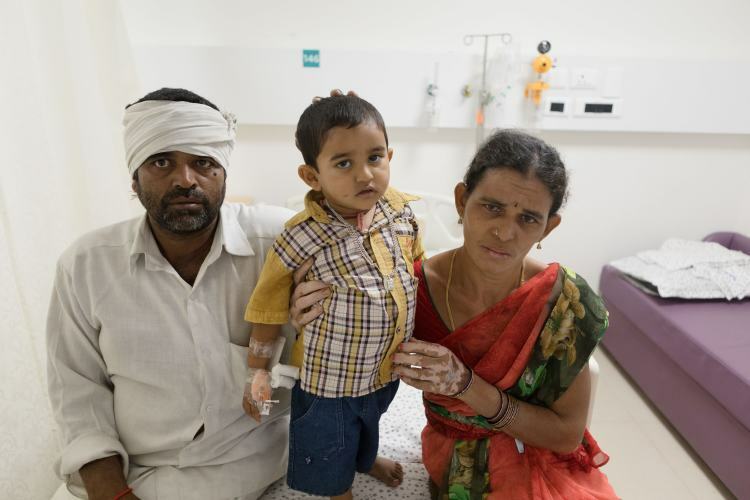 Now, their 2-year-old son Mohan is very sick and his liver is completely decompensated. It has affected his health and growth. Chanda has sold his farm to keep Mohan's treatment going, and has nothing left to get him the liver transplant that will save him. 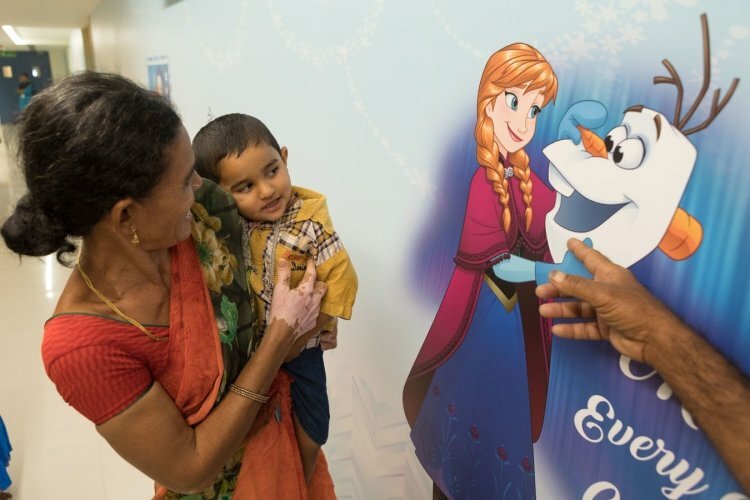 Mohan is the youngest in his family, born over 20 years after Chanda and Sujji's marriage. His birth brought happiness to parents still grieving over losing a child. Chanda, Sujji and their daughters – all felt ready to finally be happy again. 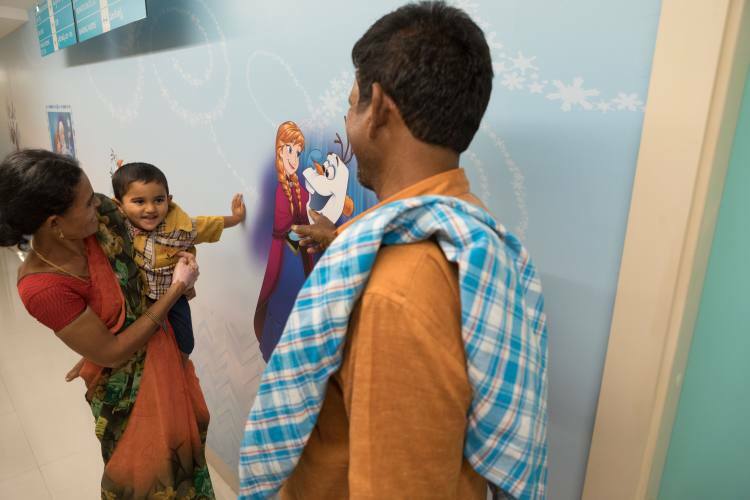 But in just 18 months, Mohan became very ill and Chanda felt a familiar fear for his child's life. “He told us his stomach was hurting and started crying. He kept crying for two days. We realised that something was very wrong and went to the doctor. We came to Hyderabad in October for treatment. Since then, he needs to be admitted to the hospital once in every 10 days. He needs a new liver,” says Chanda. Mohan has been diagnosed with glycogen storage disease – a condition where his liver doesn't properly store the body's sugars. 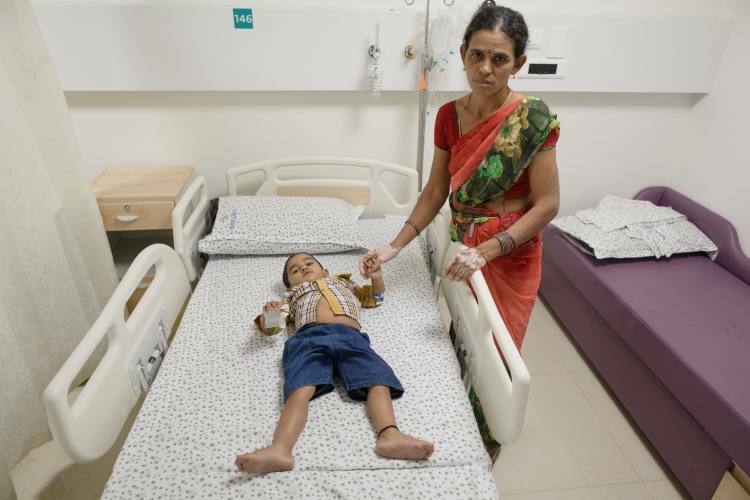 The excessive sugar has damaged his liver completely – which has made life hell for little Mohan. He can't eat or play like before anymore. He has stopped growing and has regular seizures. 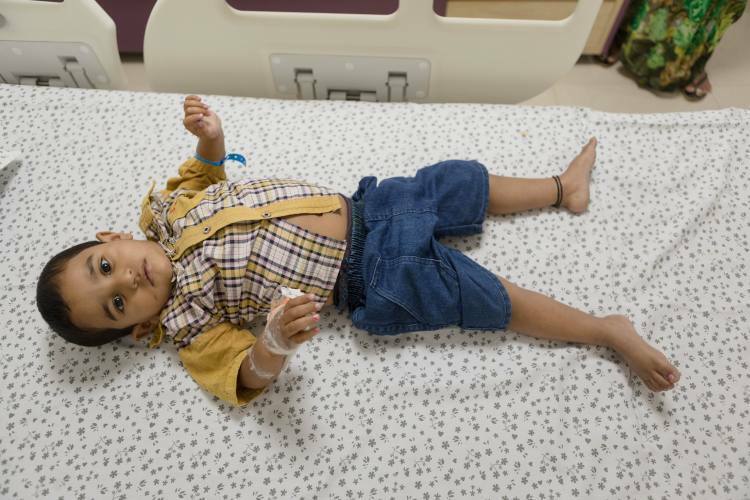 A liver transplant is the only way for Mohan now. When told that his little son needed a small portion of another person's liver, both his parents volunteered to donate their own liver. They are both a good match and Chanda has decided that he will donate his liver, so he and not his wife need to recover from the procedure. Chanda is determined that he will not lose his child again. Chanda and Sujji know the pain of losing a child. Their 7-year-old son Madhu fell into a ditch and lost his life. It has been six years since his death, and these parents have found themselves once again facing a familiar nightmarish situation. “Madhu fell down in a ditch I had dug on the farm and died. We never imagined something like this could happen. Now, I don't want to take any chances with Mohan's life. But even though we have admitted him in the hospital at least 20 times, he is not getting better. I am an uneducated person, I don't know what else I can do,” Chanda says. Chanda lives in Devarakonda, Telangana. He as a small farm. He does farming on his field and on leased land nearby. Yearly, he earns less that Rs 1 lakh. For treatment, Chanda sold off his farm and borrowed heavily. He has paid bills worth Rs 7 lakhs till now and has nothing left to fund the life-saving liver transplant that Mohan needs. Mohan has been very sick in the last few months. Intelligent for his age – he asks many questions about why he can't play anymore, or why his food has no taste. His parents have to talk to him all the time to make sure he takes all his medicines on time. 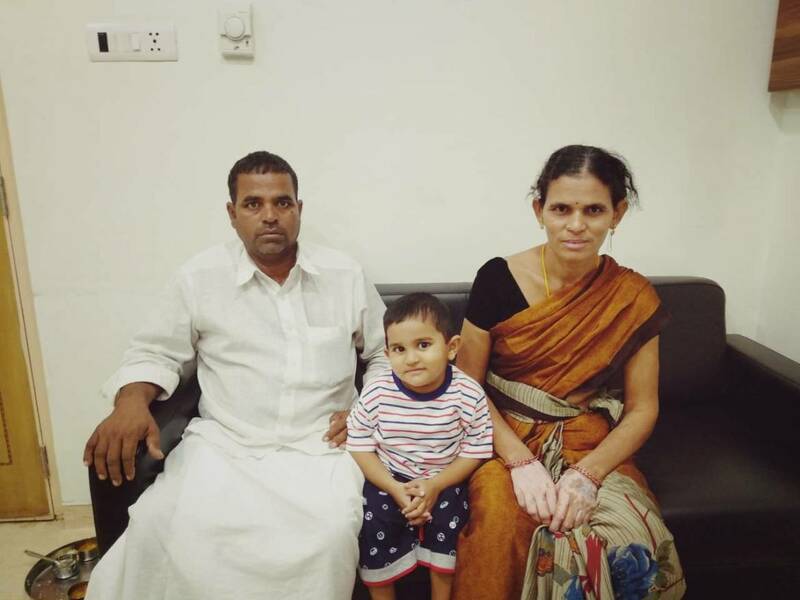 His parents have made many sacrifices to keep him alive and healthy till now – but they have no way to arrange for a liver transplant worth Rs 16 lakhs. It is the one barrier sheer determination cannot overcome. Your contribution will save Mohan and give his brave parents hope for his health. We would like to inform you that Mohan Krishna is doing well and is discharged. Here is a recent picture of him. We could not have done this without your support and love. His parents are very grateful. Thank you for the wonderful support that you have shown towards Mohan's health. He is doing better now compared to earlier and has recovered well. He has a few pending expenses which need to be cleared as his stay in the ICU has been extended until his health stabilised. So we would be transferring excess funds from the campaign, Harshini Needs An Urgent Liver Transplant To Survive A Fatal Disease towards clearing his bills. Thank you all once again for the overwhelming support that you have shown towards Mohan. 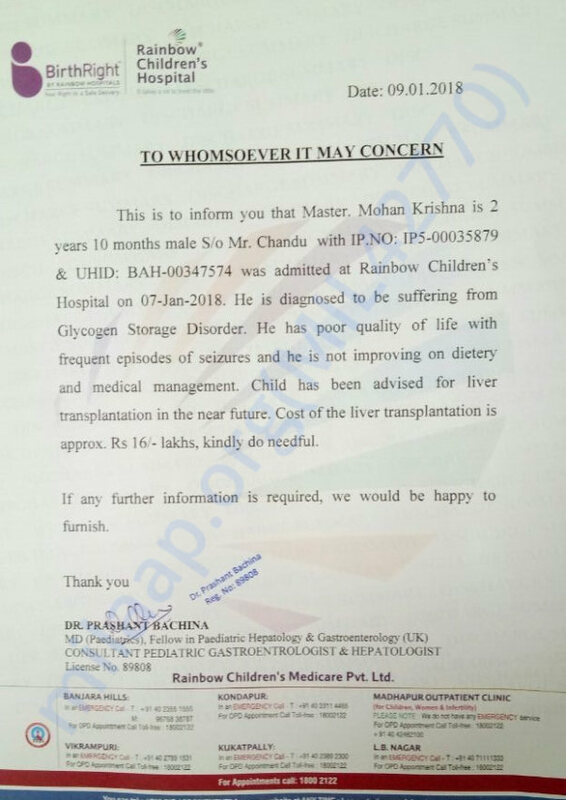 We would like to inform you that Mohan Krishna had undergone a successful liver transplant with part of the liver donated by his mother. He is recovering in the hospital and the mother is discharged.